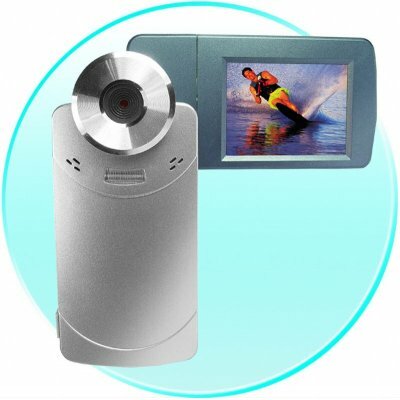 Successfully Added Palm Digital Video Camera - 2.5 Inch TFT LCD Rotating Screen to your Shopping Cart. Recording Device featuring a 2.5 Inch High Color TFT LCD Screen that will fully rotate up to 270 Degrees. Added to this is the ability to take still pictures up to the incredible 12 M Pixel, use this as a high fps PC Web Camera, a AV OUT port and included cables to look at your pictures or movies on a TV, and many other great additions. Chinavasion offers this great low-cost Digital Video Camera with full QC testing before shipment, so buying a single sample to test it for yourself is very easy, and with the added 1 year Warranty, feel safe purchasing direct from Chinavasion's Wholesale Online Store.